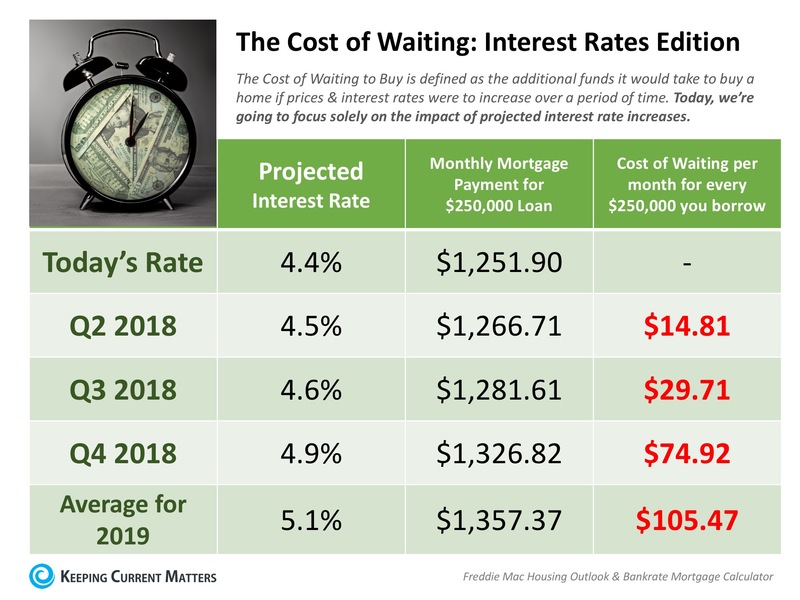 Interest Rates have been rising, typically for every 1% the mortgage interest rates rise, your buying power drops by 10%. Meaning if they rise 1% the $250,000 House you would afford at today’s rate, your buying power will be decreased by $25,000 so you will only afford a $225,000 home. This may not seem like much, however home values keep rising meaning you will not be living in the desired neighborhood or area you want by waiting.